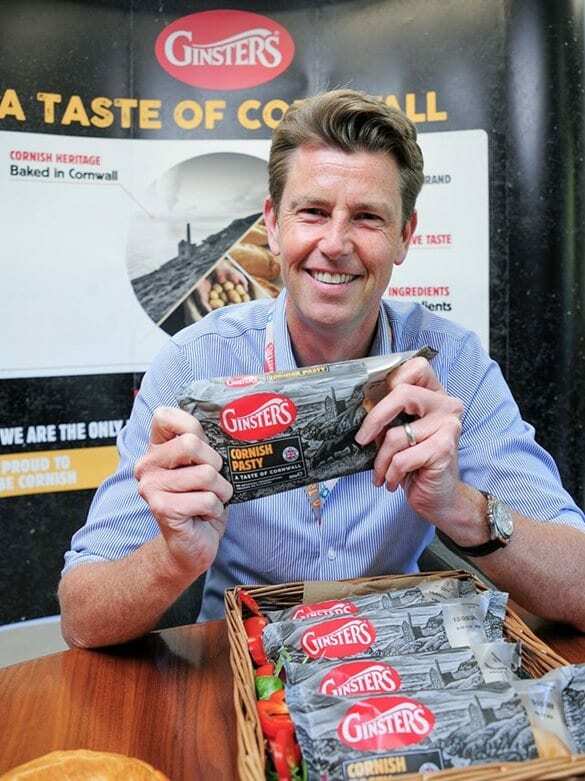 Ginsters of Cornwall is raising the bar in the chilled savoury pastry and food-to-go category, as it reveals new packaging and a revamped logo! The new look can be found on-shelves from July. Operating since 1969 the brand has become world famous, now known as the fastest growing major brand in the category. The new look and feel will feature a refreshed logo and a bold new design, each created using a traditional wood carving technique. The design continues to tell the Ginsters provenance story with artwork that plays to the brand’s unique Cornish heritage. In addition to the noticeable change, Ginsters will launch a full new consumer facing offering – A Taste of Cornwall. First sight of the new iteration appeared on the brand perimeter LED boards at the EFL Play-Off Finals at Wembley Stadium over the May Bank Holiday weekend. This forms part of the rand’s continued category exclusive partnerships with the English Football League. The new packaging comes hard on the heels of recent new award winning product development, with more planned for the autumn. Working closely with Cornish award-winning head chef Chris Eden, 2018 has already seen a new Moroccan Vegetable Pasty and Cornish Cheese & Caramelised Onion Pasty hit the shelves, introduced to support consumers’ increased interest in vegetarianism and flexitarianism. And the brand’s two new exotic savoury pastry chicken slices, the Ginsters Katsu Chicken Slice has 370 calories and the Ginsters Piri Piri Chicken Slice contains just 349 calories, are meeting the needs of health conscious consumers while being packed with flavour.